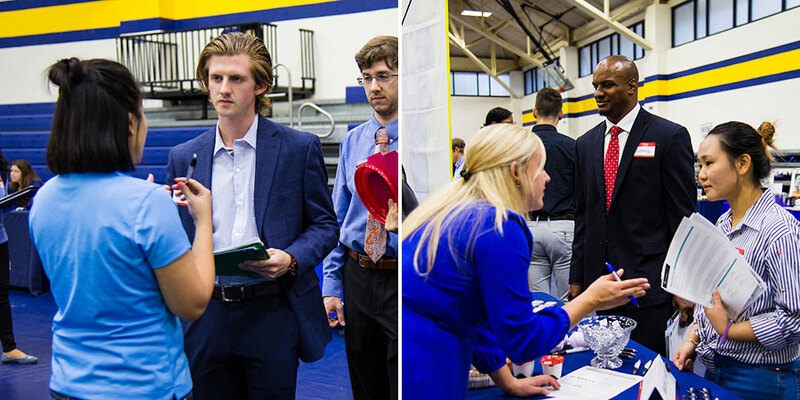 The Career Planning and Development Center welcomed over 50 employers to the annual Webster University Career and Internship Fair on Wednesday, Oct. 10. 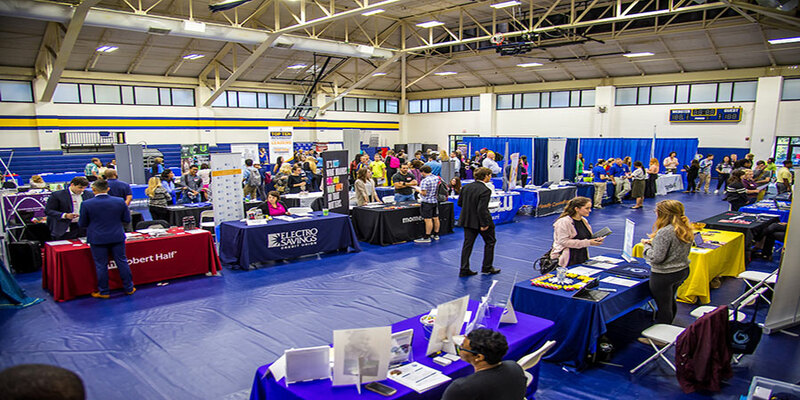 Students and alumni were invited to both invited to attend the fair in Grant’s Gymnasium. Students that represented multiple St. Louis campuses joined this amazing on-campus recruiting event. 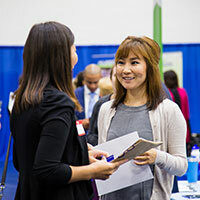 Students and alumni benefited from this unique and valuable opportunity to meet face to face with representatives from Fortune 500 companies, non-profit organizations and more. Employers like Edward Jones, St. Louis Blues, Saint Louis Zoo, New Balance, Peace Corps, TD Ameritrade, HLK, Contemporary Art Museum St. Louis,Boom Lab, Down Syndrome Association of Greater St. Louis, Graybar Electric Company, Build-A-Bear Workshops, Ameren, SSM Health and more meet with students and alumni of Webster University.